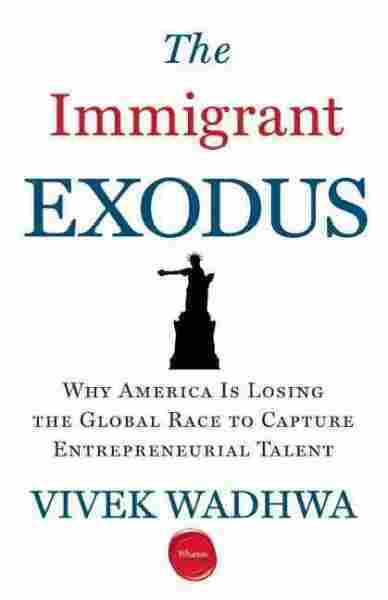 Interview: Vivek Wadhwa, Author Of 'The Immigrant Exodus' A new study from the Kauffman Foundation shows that the number of immigrant entrepreneurs in the country has fallen slightly. But according to Vivek Wadhwa, an author of the study, the drop is especially steep in Silicon Valley. A new study from the Kauffman Foundation shows that the number of immigrant entrepreneurs in the United States has fallen slightly. But according to Vivek Wadhwa, an author of the study, the drop is especially steep in Silicon Valley, long a magnet for the brightest and most ambitious minds from around the world. From 1995 to 2005, immigrants founded 52 percent of the startups in Silicon Valley. The updated research shows that since 2005, that dropped to 44 percent. 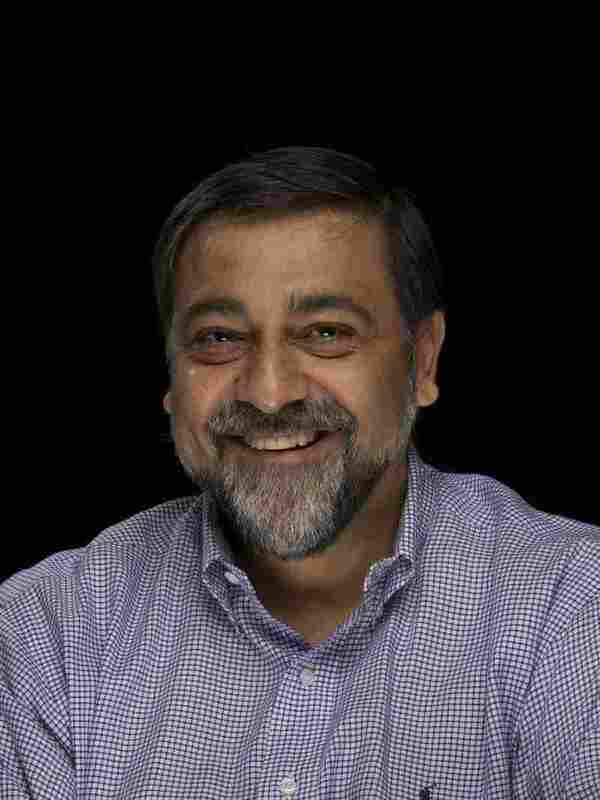 Wadhwa joins NPR's Renee Montagne to discuss his findings. "Well, the No. 1 reason is because we won't give the foreign people who are already here visas to start companies. My research has also documented that there were 1 million skilled immigrants waiting for green cards, for permanent resident visas. And we had predicted if we don't fix the immigration system, they'd start leaving. Now this is in 2007, when we had published that research. Well guess what? They're leaving." "Well, Anand and Shikha Chhatpar, they started a company called Fame Express that was building really cool Facebook apps. They signed up a million users in almost no time, building lots of revenue. Annan and Shikha paid a quarter of a million dollars in taxes while they were here. They had to go back to India to get their visa adjusted to start the process of permanent residency, and the U.S. government wouldn't let them back, despite the fact that they were hiring Americans, they were doing well, they were here legally. Annan had filed eight patents, so the guy was exceptional. No one was disagreeing that he's a worthy candidate. But even the head of the immigration department couldn't fix this. So now they're living in India, paying Indian taxes, employing Indian workers. It's a big loss for America. This is the stupidity of our immigration system. "It happens far more than you would imagine. You have to live in Silicon Valley and hear the horror stories. You go and hang out at the cafes, and you meet entrepreneur after entrepreneur who's struggling, basically — who's had a visa problem who wants to start a company, but they can't start companies. It's really heartbreaking to go to Silicon Valley and see what could be and what isn't." "If we had a startup visa which allowed any foreigner to start a company here, if after three or four years the company is employing less than five Americans, that person is ineligible for a green card. That would lead to tens of thousands of new startups, possibly hundreds of thousands of startups, which would generate hundreds of thousands, maybe millions of jobs — all for a cost of zero. "The graduates of Stanford [University] and Duke University, they don't have a million dollars lying around. Typically when you do a technology startup, you have $20,000 or $30,000, and you build an Instagram, you build a Facebook. You build companies like this with very low seed capital. There's no way they can come up with a million dollars upfront. "That whole process of getting that EB-5 visa, as it's called, is so cumbersome that it could take a year or longer, and you don't know if you're going to get it. By that time your idea is stale. In the technology world, you have to execute fast or you're out of business."